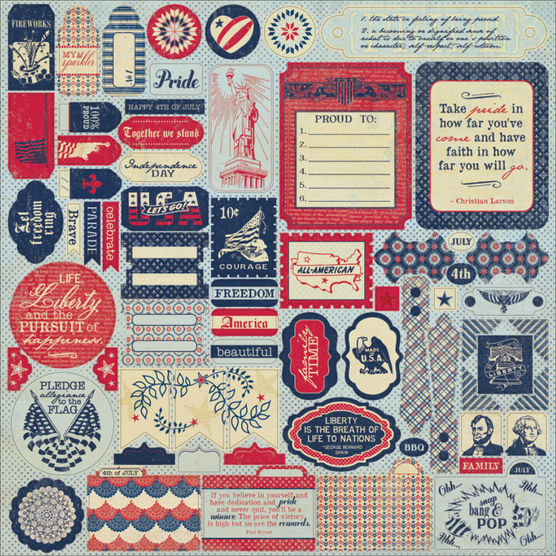 I adore patriotic colors and collections and the new Pride Collection has the look of vintage patriotism. Here is a close-up of the great little tags and graphics that are part of this collection. 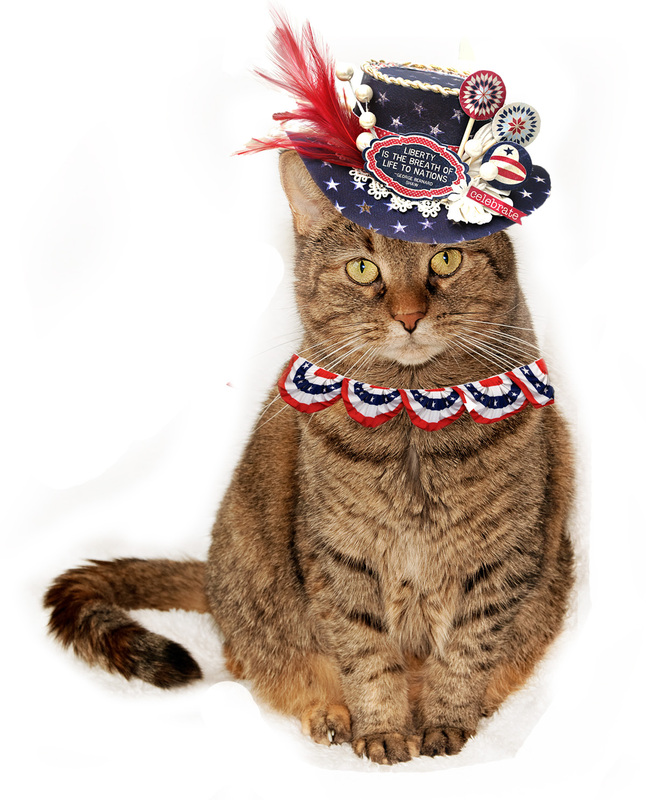 Here is a hat model - Escape Kitty looking rather proud and patriotic. I think she's smiling - can't tell. 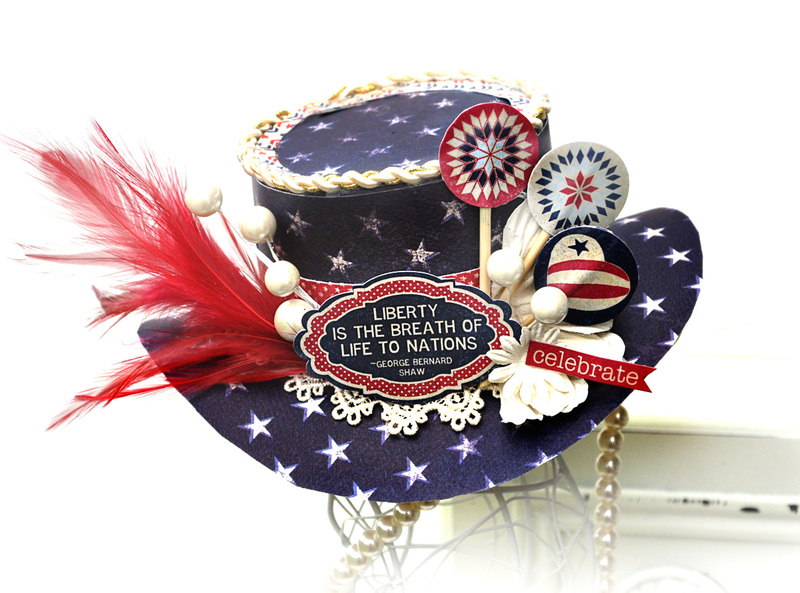 I used some of the graphic circles and glued them to bamboo skewers to stick in my hat. 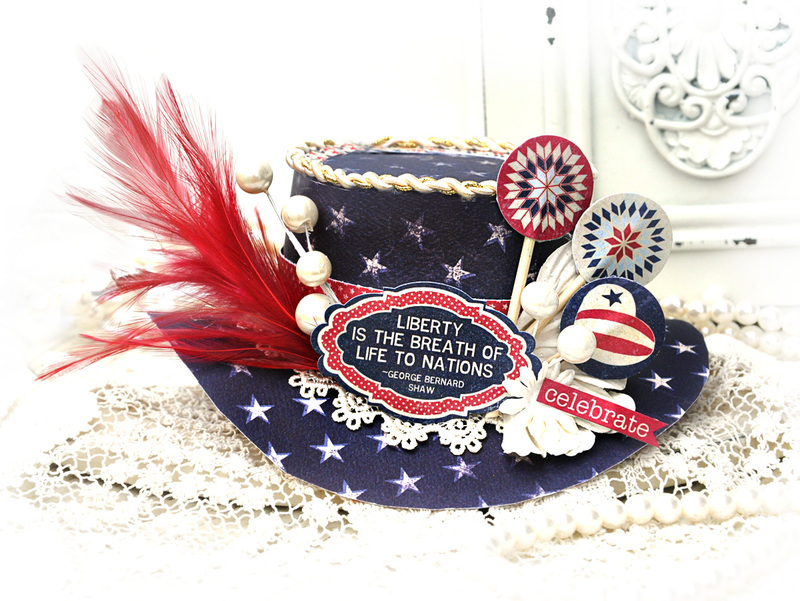 No Yankee Doodle Dandy Hat can be complete without a feather in it. 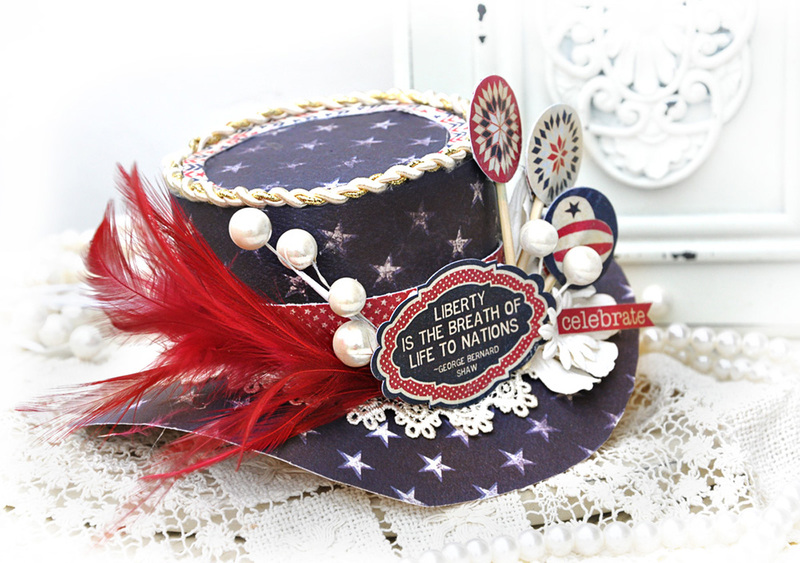 The feather is a reference to a popular American song, Yankee Doodle Dandy. Grab your Authentique collection while it's available and show your Pride.